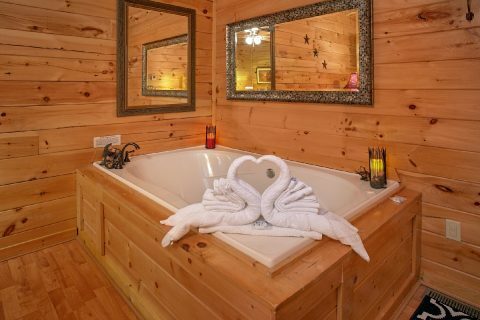 Come experience "Our Happy Place," an excellent, 5-star honeymoon cabin near Dollywood in Pigeon Forge, TN! 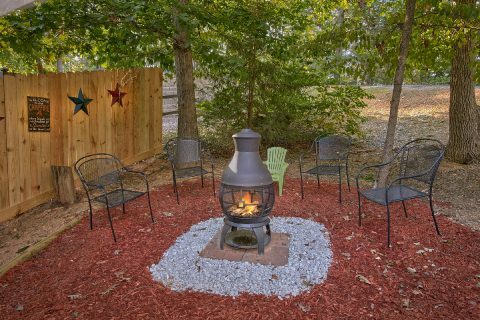 This cozy, 1-bedroom sleeps up to 4 guests in comfort and boasts a great location near Teaster Ln that's only half a mile from downtown. Teaster lane runs parallel to the main Parkway in Downtown Pigeon Forge. 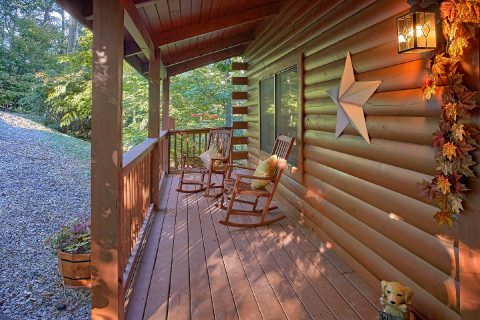 This side road is especially useful for dodging traffic and accessing popular attractions like Dollywood, The Old Mill, and The Island. 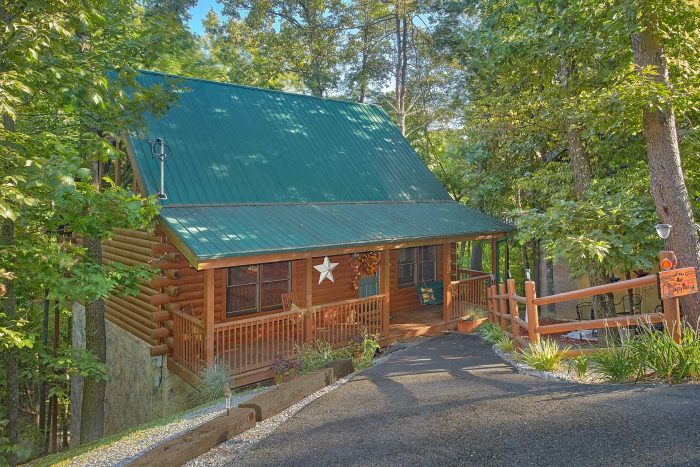 By booking a cabin near Teaster Ln, you can ensure you'll stay only minutes away from Downtown Pigeon Forge. 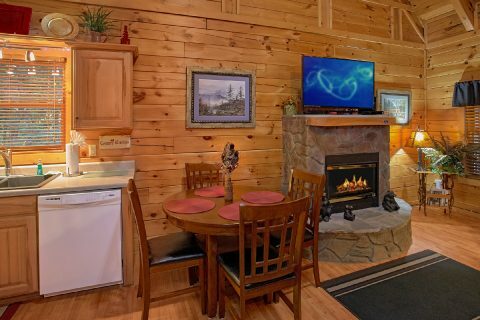 Your cabin is especially close to the LeConte Convention Center and the Old Mill in Patriot Park, so it boasts an ideal location for seeing big events like Rod Runs or the Patriot Festival. 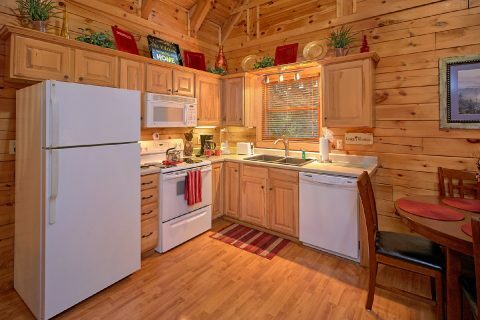 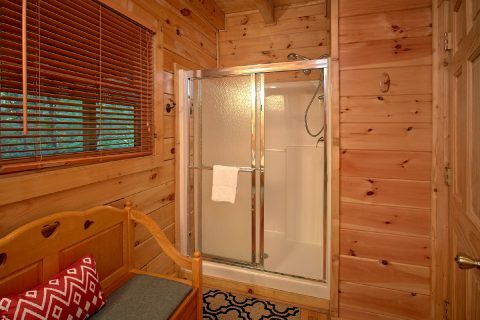 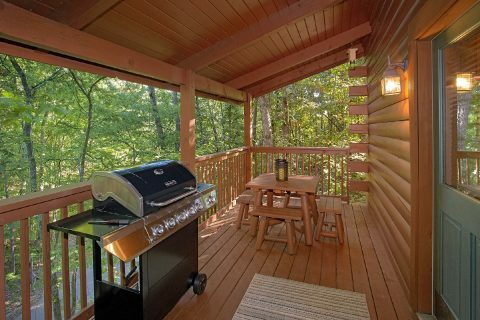 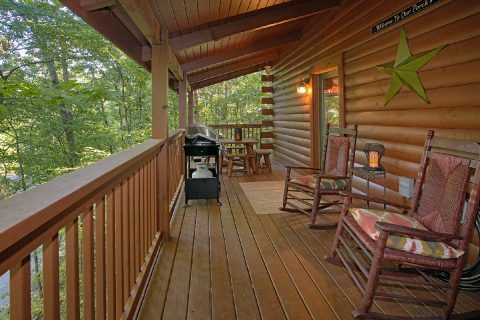 Better yet, this comfortable, 1-bedroom cabin rests in a peaceful, wooded setting that's ideal for a relaxing vacation. 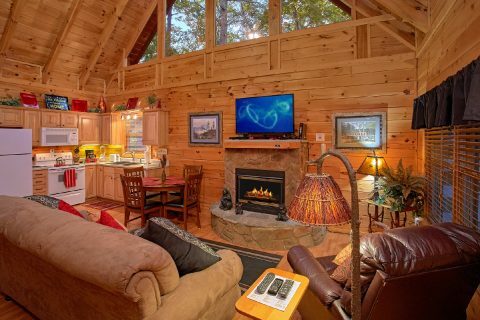 Step inside your cabin's main living room and you'll find a romantic place complete with an electric fireplace for memorable evenings by the fireside. 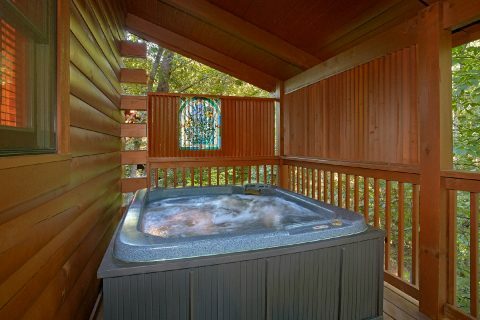 Or why not enjoy a relaxing soak in your cabin's hot tub on the deck or let your cares melt away in the bubbling waters of your cabin's jacuzzi. 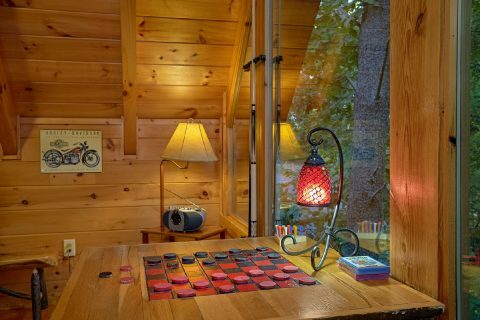 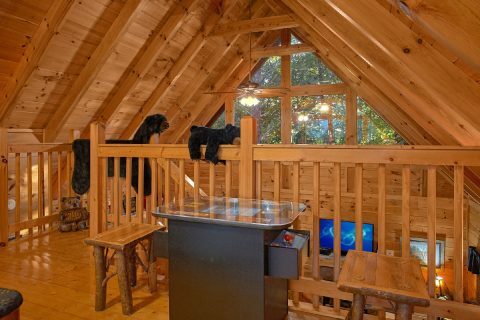 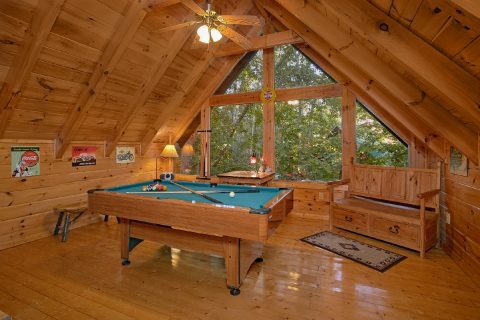 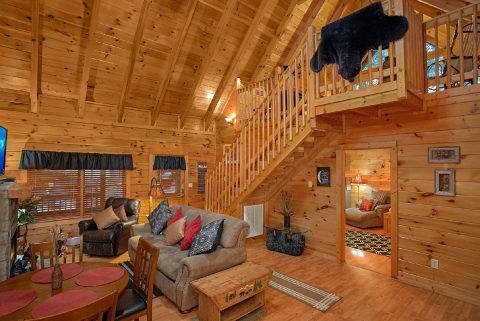 Additionally, this log cabin comes with a game room complete with a pool table for fun games whenever you want. 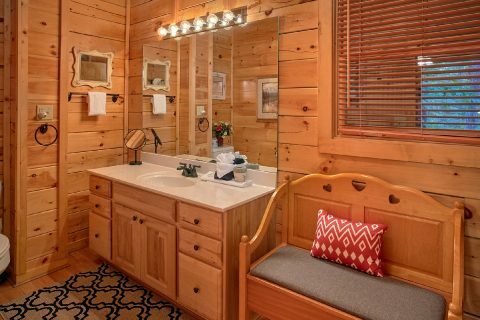 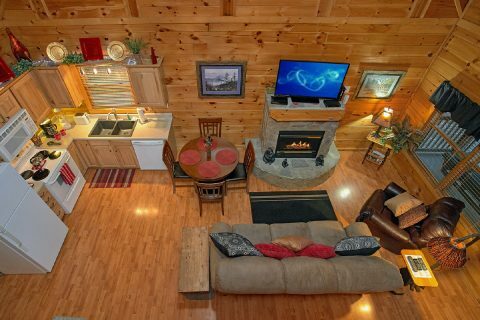 This cozy cabin also comes complete with practical amenities like WiFi, a full kitchen, gas grill, and a washer-dryer to make your stay simple and carefree. 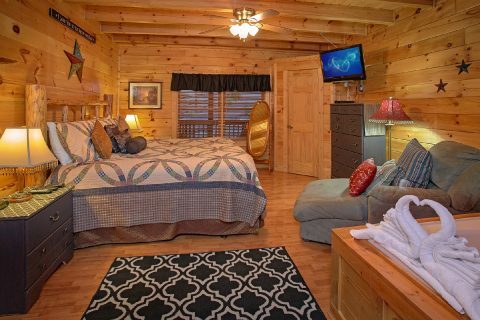 At the end of the day, you can look forward to getting a great night's rest in your cabin's bedroom with a king-size bed. 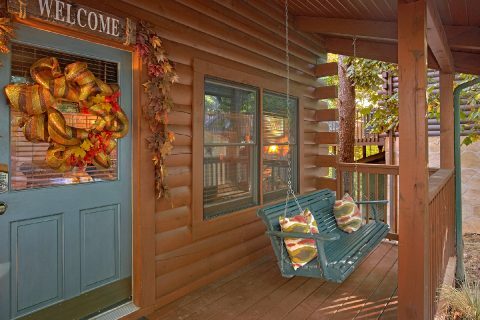 Book "Our Happy Place" online today for a luxury honeymoon or small family getaway in the heart of Pigeon Forge, TN!